The KTM had to meet the broadest design brief in order to have any impact on MoTY. That it scored so well shows it conquered the challenge. More than that, it was highly rated by almost everyone despite being the kind of bike that can polarise opinion. After all, how can such a big, tall motorcycle possibly appeal to anyone under 180cm? Yet it did. Still, its height wasn’t something she actually liked. Kel called it “obscene”. 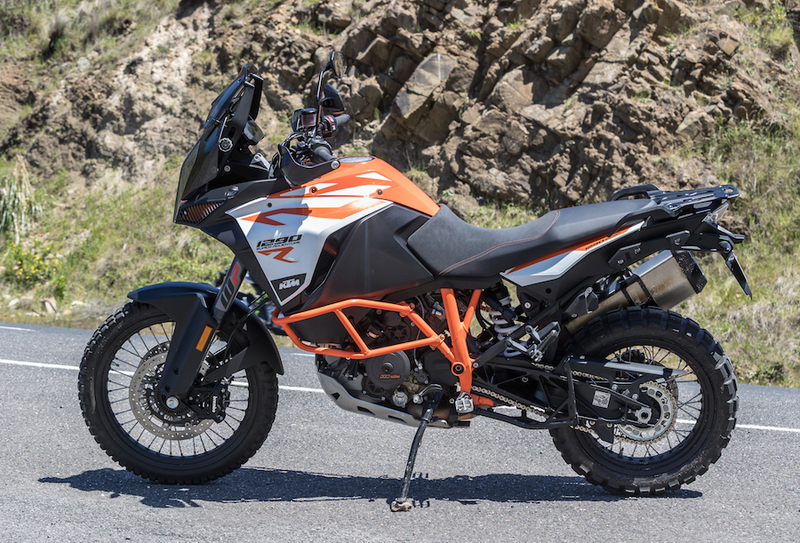 This is the R version of KTM’s Super Adventure, so it has extra suspension travel and therefore greater height. The suspension is important to its success, as is the skinny 21-inch front wheel. And we had it on knobby tyres, too, which put it at a dynamic disadvantage on the Great Ocean Road alongside the other MoTY bikes. This didn’t dent our regard for it. 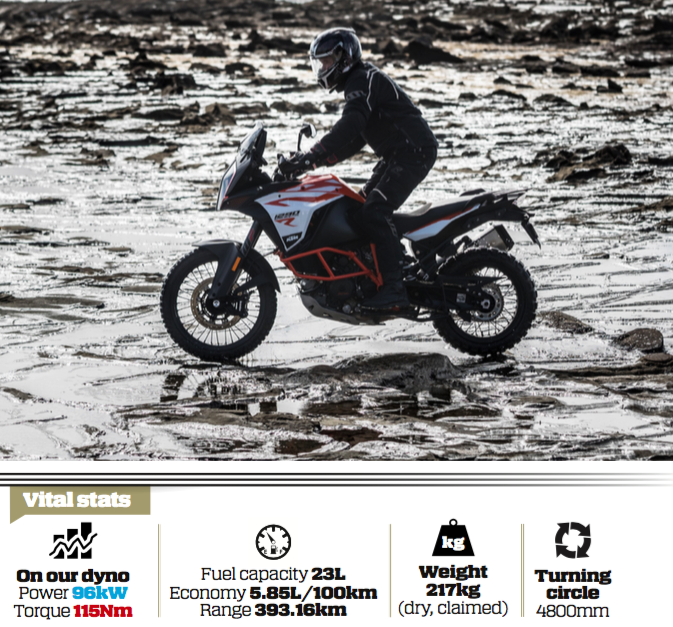 “Considering how well a bike built for off-roading performs on the road, I can only imagine how competent it would perform in its intended environment,” Kel said. When we did take it off the blacktop it was sensational. 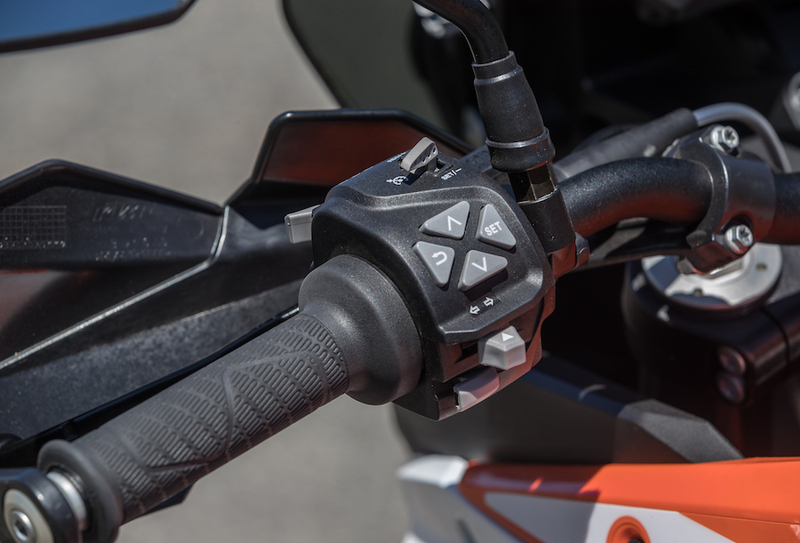 A simple sequence of button presses got it into off-road mode – which changes all the important parameters including TC and ABS – and the KTM changed from GOR plaything to beach-sand blaster. It was amazingly controllable in both environments. The knobby tyre on the front (and face it, this is how it should be shod) didn’t evoke confidence when we were pushing the KTM on the road, despite the presence of an Inertial Measurement Unit and the associated cornering-sensitive ABS and TC. On the other hand, our confidence off road was supreme. We felt short-changed by the lack of a quickshifter on a $26K bike, and some wished for heated handgrips too. But we were impressed by the very high level of comfort, adjustable screen, cruise control and other things that cemented the Super Adventure’s touring credentials. It’s the true all-rounder and all-roader of the MOTY bunch. It was praised on the tar, on the sand and even on the dull highway back to town. 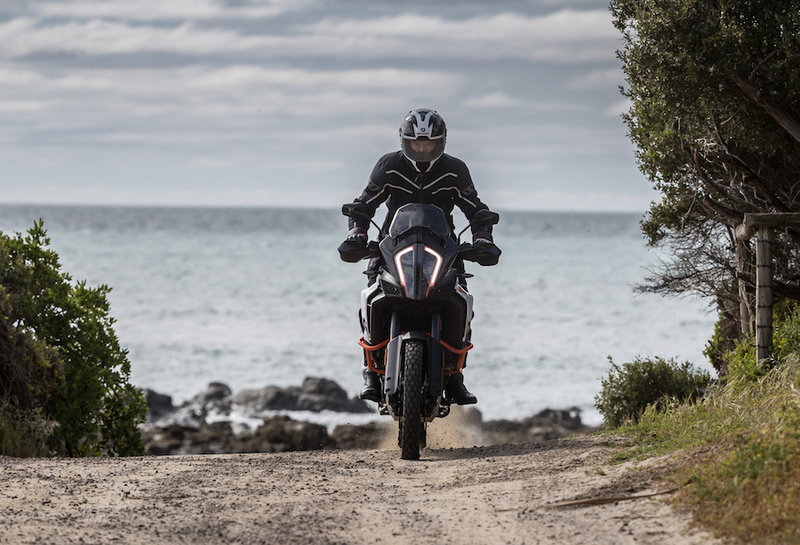 “To climb aboard the KTM Super Adventure R was to leave the earthly realm and mingle with the gods,” Groff said. Wet roads, knobby tyres, Melbourne peak-hour traffic and what appeared to be the Clydesdale of motorcycles… It’s safe to say that upon initial approach I was uneasy. 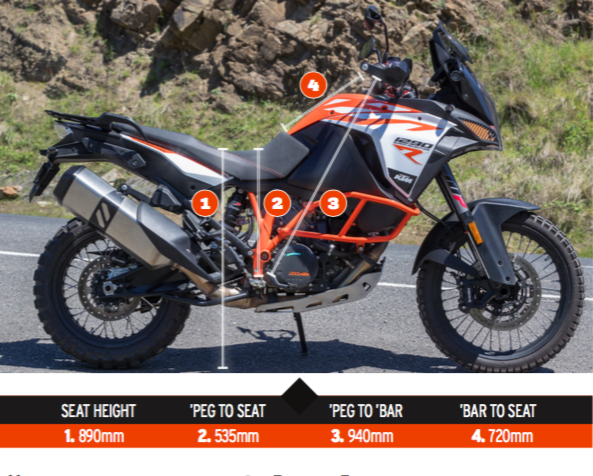 The KTM Super Adventure R is tall! And that means us ‘vertically challenged’ people will probably only get one foot on the ground. But while that’s usually a confidence killer for me, I quickly forgot about it when I got moving. Despite the bulky upper tank and shroud the COG feels quite low, making the bike well balanced and the weight/size less noticeable. That combined with the stability control gave me great confidence and let me ride the bike harder than I expected. With the KTM’s punchy power, and police a constant threat, I kept looking down at the speedo a lot! 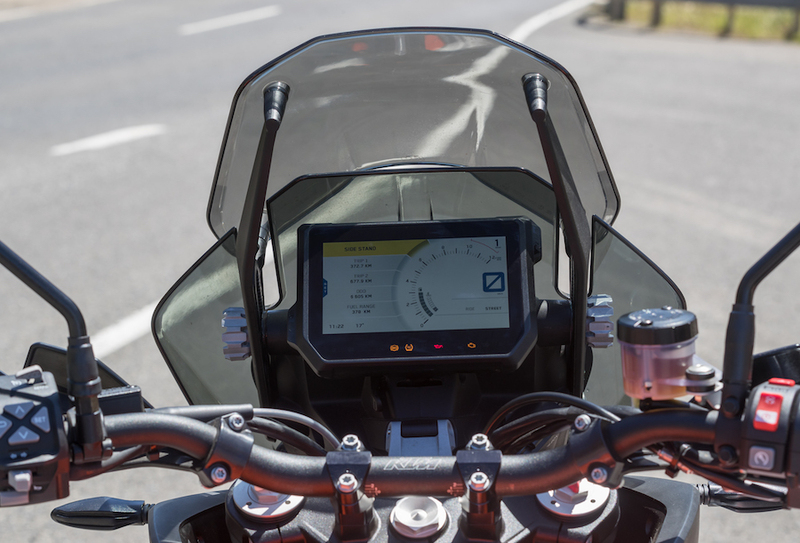 Luckily, the TFT dash is easy to navigate and easy to read while riding. A big winner. Having Rain, Sport, Street and Off-Road modes means that you’re just a click away from the perfect set-up. With each change I could feel the bike transform. It is loaded with technology and I may just be asking too much, but for $25,995 (+ ORC) … Where’s the quickshifter?! 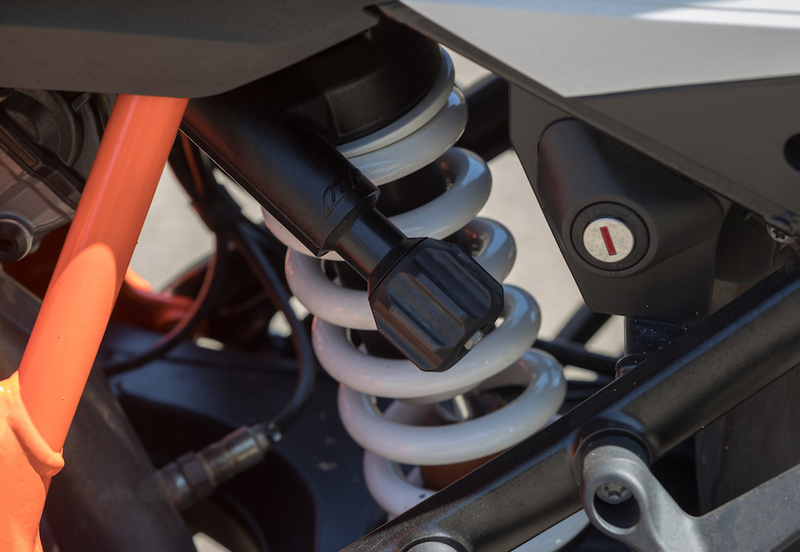 That said, for a little extra you can purchase a lower seat and KTM’s optional Travel Pack – problem solved. This is a very capable machine that can go more places than my ability. It would be hard to outgrow!